Tickets are now on sale for South Jersey’s premier food and beverage fundraising event. 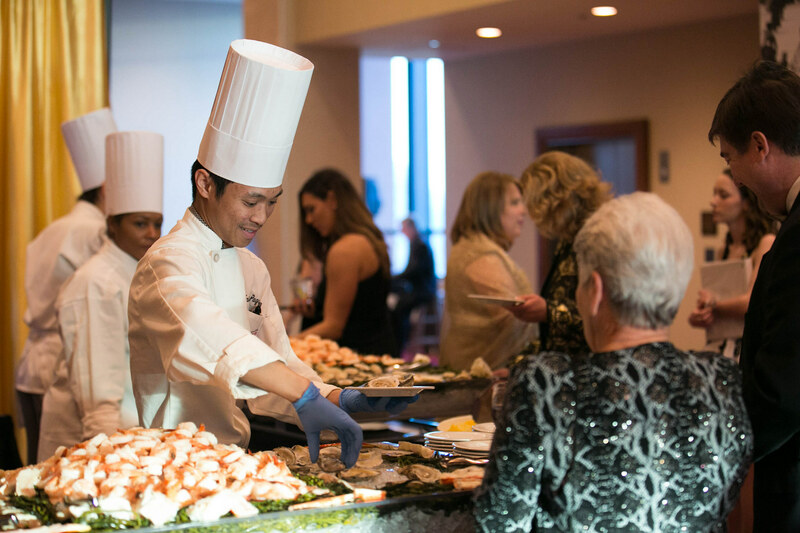 The 35th annual Atlantic Cape Community College Restaurant Gala will take place on Wednesday, March 28, 2018, in the Avalon Ballroom of Harrah’s Waterfront Conference Center in Atlantic City. Kevin Ortzman, regional president for Caesars Entertainment (Bally’s, Caesars and Harrah’s Resort in Atlantic City) will be honored at the Restaurant Gala as the Community Honoree. The 2018 Culinary Honoree is Georgeann Leaming of Brigantine, executive chef of Gordon Ramsay Pub & Kitchen located in Caesars Atlantic City Hotel and Casino and 1999 Academy of Culinary Arts graduate. Leaming was the Season 19 champion on the Food Network’s Chopped! series. This year’s theme is “Culinary Magic,” showcasing the extraordinary talent and cooking expertise of the students and alumni of the Academy of Culinary Arts. Each year, nearly 1,000 food enthusiasts attend the Gala, and have the opportunity to dance the night away with live music from Central Park The Band. Tickets to the Gala are $225 a person and can be ordered by contacting Kristin Jackson at 609-463-3621 or kjackson@atlantic.edu or by visiting www.atlantic.edu/gala.